This exotic fruit with its dry and dusty scent was the personal symbol of Roman Maximillian I and Catherine of Aragon, both rulers of Sicily. This crisp fragrance encapsulates the vibrancy of Sicilian life with all its dramatic contrasts. - Kindly scroll down to view product range. Shop Now for Remaining Ortigia Sicilia fragrances, bath & body products, candles & diffusers. Unfortunately, we will not receive any more shipments of Ortigia Sicilia from Italy. Ortigia Sicilia Gift Sets - Boxed Sets of Soaps; Boxed Sets of Shower Gels. Almond / Mandorla: The delicate scent of sicilian bitter almond tree flowers which blossom at the end of winter. Intense, powdery and persistent. Equally liked by both women and men. Ambra Nera: Resin and spice woods over an amber base of labdanum, oak musk and galbanum, with vetiver and patchouli. A deeply rich and warn scent. Equally liked by both women and men. Bergamotto / Bergamot: Distinctly Sicilian, green and strong. The essential oil is derived from the crushed leaves and zest of the bergamot orange tree, citrus aurantium amara bergamia. Equally liked by both women and men. 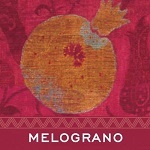 Fico d'India: The most loved Ortigia fragrance � subtle, powdery fig and cedar oils with cactus juice. The famous exotic Fico d�India cactus with amazing vibrant orange flowers grows huge and wild across Sicily. Equally liked by both women and men. Florio: Sicilian spring wild flowers. A soft and delicate combination of narcissus, wild iris and jasmine. For Women. Neroli: From the blossom of the bitter orange tree citrus aurantium amara. Refreshing and distinctive, a spicy aroma with sweet and flowery notes. Equally liked by both women and men. Orange Blossom / Zagara: A highly aromatic distillation from flowers of the orange tree, with neroli petitgrain and wood bases. A rich citrus scent of sicilian orange groves.Equally liked by both women and men. Pomegranate / Melograno: This exotic fruit with its dry and dusty scent was the personal symbol of Roman Maximillian I and Catherine of Aragon, both rulers of Sicily. This crisp fragrance encapsulates the vibrancy of Sicilian life with all its dramatic contrasts. Equally liked by both women and men. Sandalwood / Sandalo: The sandalwood essential oil of this exotic tree with narcissus, cedar, teak, vetiver rose and jasmine. Rich, complex and sophisticated. Equally liked by both women and men. Sicilian Jasmine: Made from the white flowers of the noblest and most fragrant jasmine picked in the early morning when just open. Jasmine Grandiflorum is historically cultivated for its fine perfume throughout Sicily. For women. Sicilian Lime: Rich aromatic lime wood, flowers & oil from the scented lime tree. A classic sicilian scent: fresh and young yet complex. Equally liked by both women and men.